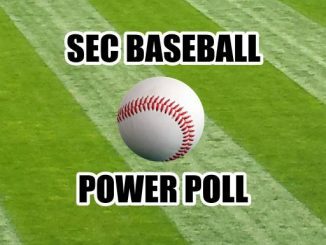 The South Carolina Gamecocks saved their season against Missouri. That might be a little hyperbolic, but one can make the case for the argument without having to resort to wild, tenuous explanations. 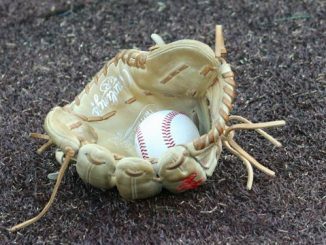 The Gamecocks had already lost to Kentucky and had already played Vanderbilt. There aren’t too many more likely wins on the SEC schedule (Tennessee being one), and Florida is a road game. 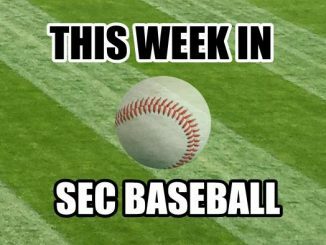 The Gamecocks had to pick off Mizzou at home to sustain realistic hopes of winning eight games this season, which wasn’t even this team’s aim at the start of the campaign (nine or 10 wins was the target). 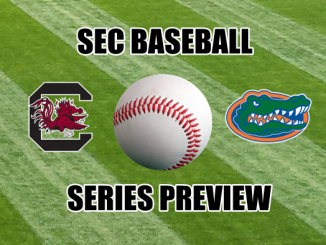 A loss to Missouri would have put South Carolina in real danger of drifting toward the .500 mark late in the season. That would have made this season a waste. Now, though, after a field goal in the last seconds of an absolutely nutty donnybrook delayed multiple times by weather, South Carolina can still pursue an upper-half finish in the SEC East and a decent bowl bid. The path, however, doesn’t get easier – not this week. 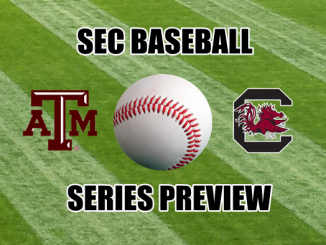 South Carolina faces a team cut from a different cloth relative to Missouri, but Texas A&M is, like those Tigers, a team which exists on the same plane as the Gamecocks. This game figures to be close in the fourth quarter. It figures to be up for grabs, much as the Missouri game was. Winning these 50-50 games is what Will Muschamp’s team will have to do a few more times to make this season worth remembering. The legs help Kellen Mond more than his arm. Like Mississippi State’s Nick Fitzgerald, Mond has struggled as a passer this year but can rev up the engines when running the ball. South Carolina therefore has to contain him in the pocket and not let him get into open space. 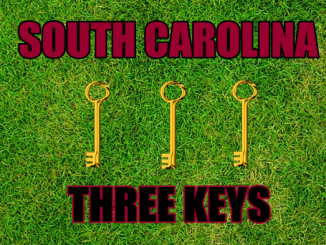 This must be a central game key because if South Carolina can’t achieve it, there is little hope of beating the Aggies. The Gamecocks, while daring Mond to throw the ball, must also shore up their interior defensive line on traditional running plays. Damarea Crockett of Missouri carried the ball 20 times for 154 yards against South Carolina this past weekend, nearly eight yards a crack. 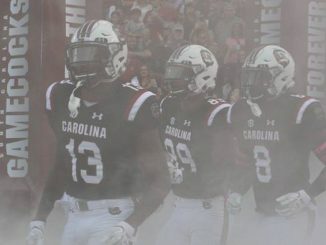 A&M would love to establish the run game and set up Mond in advantageous situations where he can hunt the big play against a stacked tackle box, maybe a naked bootleg in which he can outrace the South Carolina defense. The Gamecocks have to stuff the run between the tackles in order to shape the game they way they want to. Stopping handoff-based runs will aid the Gamecocks in their attempt to make Mond beat them through the air. The A&M and South Carolina defenses did not play equally well on Saturday. 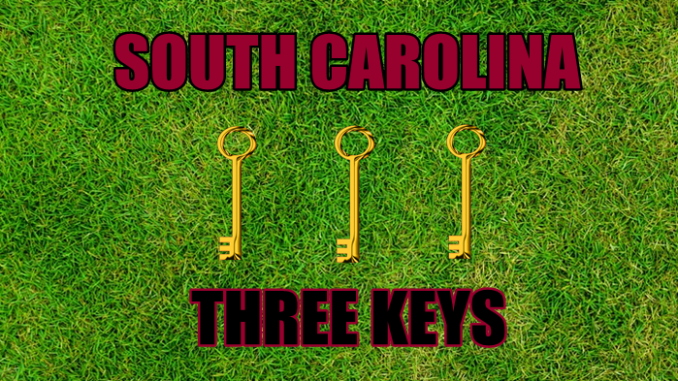 A&M held Kentucky under 180 yards of offense in an overtime game, while South Carolina allowed 490 yards to Mizzou. How did South Carolina win? When it got into third down on defense, it limited Missouri to 4 of 16 conversions. A&M shut down Kentucky’s offense by holding the Wildcats to 2 of 13 third down conversions. Yes, this will matter against the Aggies.